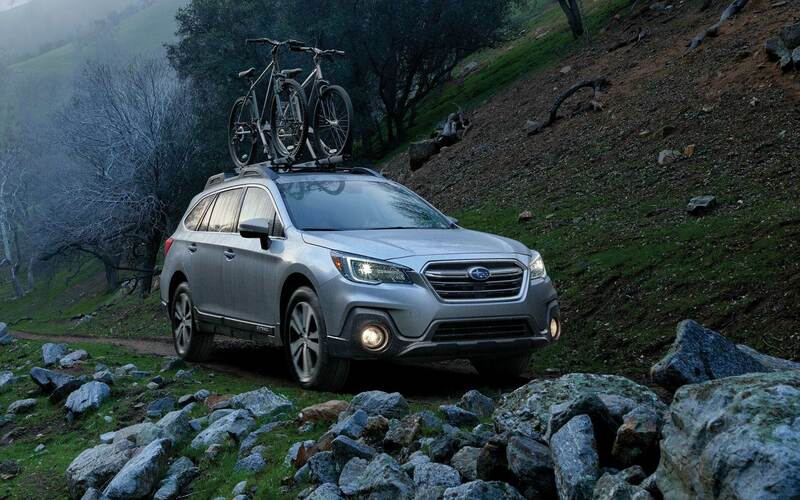 When it comes to the ultimate package, many critics think the 2018 Subaru Outback fits the bill. Big enough for a crowd, it is also built for carlike maneuverability. An emphasis on safety is matched by ample performance. High quality materials make the 2018 Outback even more of a standout in its class. With internet deals to Kansas City from Briggs Subaru, the time is now to go shopping for your next SUV. A handsome design welcomes the driver and passengers to the 2018 Subaru Outback near Kansas City. Whether dressed in cloth or leather, the seats are plump and comfortable for long rides. Every model has Subaru's Starlink. The 6.2-inch touchscreen controls Bluetooth streaming audio and can be used with the aux-in audio jack or USB i-Pod input. Apps make it easy to use the system. A rearview camera watches for reverse-maneuvering dangers. Premium editions have an even bigger touchscreen with more features such as text messaging by voice. 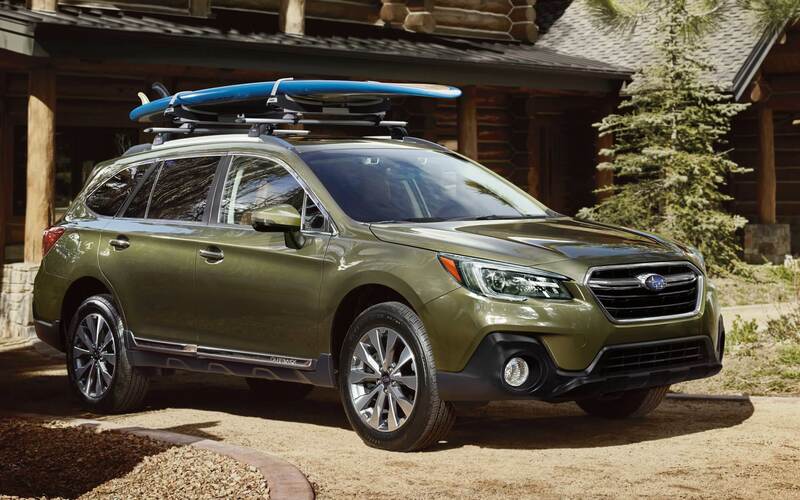 The 2018 Subaru Outback cabin becomes a more comfortable place with front power seats with power-heat functions and available rear heated seatsAt its most elegant, the 3.6R Touring pairs an upgraded leather upholstery with extended leatherette interior trim. If you punch a button, the available power liftgate rises to reveal a 35-cu.ft. cargo hold. Haulers will appreciate how the boxy shape gives them more usable space and the low liftover point allows for ease of use. In every 2018 Subaru Outback near Kansas City, a sturdy rubber mat protects the area from stains and ensures that cargo doesn't slide around. With the seats folded, you can get 73 cu.ft. of space. The Subaru's large windows are more than a beautiful design. They also provide excellent visibility from every angle. Beating almost every rival, integrated cross bars are standard with the 2018 Outback's roof rails. Another standard, lightweight alloy wheels help reduce unsprung weight. Higher editions add heated exterior mirrors and a windshield wiper de-icer. Limited editions step up to bigger wheels and a front bumper underguard, preparing you for off-road possibilities. Touring models wear a dark accent trim. Xenon headlamps light the way forward. These can include adaptive features that regulate the high beams to match conditions. Special foglights can aim the beam more precisely, moving it to match the car's actual trajectory near Kansas City. All-wheel drive gives the 2018 Outback extra stability and balance. Of course, this unique asymmetrical feature also makes it much easier to deal with mud, snow or ice. Hill descent control holds the vehicle steady when going downhill. Holding Assist maintains the brake longer, helping the driver go from stopped to forward motion uphill without hurting the gears or brakes. You can learn more about these features from Briggs, the Subaru dealership serving Topeka Lawerence Kansas City. Ready to go places, the Outback near Kansas City has two engine choices. The automaker's signature Boxer build adds efficiency and performance. The fuel-saving four-cylinder generates 175 horsepower for genuine competitiveness in traffic. It can tow up to 2,700 pounds. If you want more, you can step up to the V6 with 256 horses under the hood. It's rated for a 3,000-pound tow. These engines are mated to a continuously variable transmission. Infinite gear ratios make it possible for the transmission to shift at just the right time. You'll enjoy smoother deceleration and acceleration with the CVT to guide the action. To find the 2018 Subaru Outback near Kansas City, head to Briggs Subaru. We are your dealer serving Topeka Lawerence Kansas City. You can find out about internet deals to Kansas City just by talking to our online staff. We definitely recommend a test drive of the Outback to determine which engine is right for your daily driving experience near Kansas City. Outbacks have a long record of high safety scores from the National Highway Traffic Safety Administration. This is due to the advanced ability of all-wheel drive and traction controls to keep the vehicle from sliding into trouble. Balance and stability are achieved through electronic monitoring and response to immediate conditions. 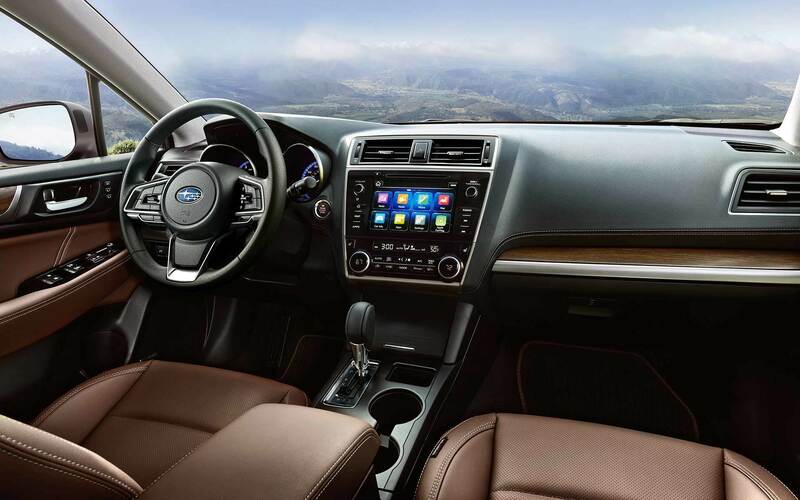 The high scores are also testament to the protective structure and passenger protections serving Topeka Lawerence Kansas City Subaru drivers every day. Good scores also help keep insurance rates low. For even more help, you can get a blind spot monitor to help you avoid side swiping neighboring vehicles. This adds a rear cross-traffic monitor that beeps to warn you about side traffic dangers during reverse maneuvers. EyeSight technology can monitor the lane lines and assist you with straightening up. The forward collision warning also works with the driver, alerting and then braking if necessary. Like a helpful copilot, adaptive cruise control regulates your ride to match stop-and-go traffic. When you find internet deals to Kansas City for the 2018 Subaru Outback, talk to the Briggs Subaru staff online or in person about how these deals can benefit you. Stop by today for a test drive.